I know that it's still summer and we are just barely into the first few days of August but, the colder winter months are not too far behind. As for most, the cold weather really takes a toll on my skin. Not only does my complexion become duller and sallow, but my skin gets inevitably dry as well. But I think I have found a product that can put me at ease, and help me not dread the cold weather skin effects. 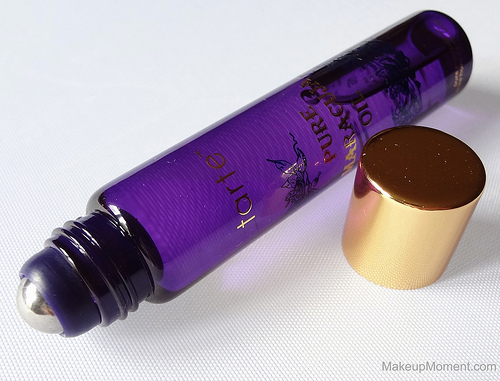 For a few weeks now, I have been using Tarte's 100% Pure Maracuja Oil Roller Ball ($17.00) that I received in my six piece Tarte beauty set from QVC and lately, this gem has been doing wonders for my skin when it comes to brightening and combating the dryness. This unscented, 100% pure maracuja oil can be applied anywhere on the face, where you feel you need a nice boost of hydration. I am glad that this product is safe for eye area use because that is the area where I like to use this oil, most. I make sure to roll on a light layer of the maracuja oil under and around my eye area mornings before I apply my makeup, and evenings before bed. As soon as I have gently patted it in, I instantly feel the moisture. I am happy to report that I have in fact noticed an improvement in the texture of the delicate skin on my eye area. It has become smoother, and my under eye concealer glides on and blends in much more effortlessly. Looks better on, too. I have used this oil on a few other areas of my face where it's prone to dryness like my cheeks and, it softens and moisturizes those spots just as great. My complexion has been looking a bit brighter and healthier, as well. I love that the maracuja oil quickly absorbs into my skin and doesn't leave behind an uncomfortable, greasy residue. It feels very lightweight on as well. I really enjoy applying this product not just because it gives results, but the roller ball apparatus feels so cooling and refreshing against my skin. It's a treat that I am always looking forward to. Makes this product that much more enjoyable to use. Since the weather is quite warm right now, my skin has been oilier than usual and surprisingly, this product has not caused my skin to produce more oil. Actually, the maracuja oil helps counteract the skin's own natural oils, which I think is pretty neat. In addition, I haven't had any adverse reactions to this product, which is great news for my sensitive and acne prone skin. Overall: If your skin has areas that are parched for moisture and hydration, I think this could be a good multi-functional product to look into. It wears well under makeup and it's a nice treat to give to your skin everyday. I can't really comment on weather or not this oil firms the skin, being that I am not in need of that sort of aid, right now. But when it comes to brightening and hydration, this doesn't disappoint. My dry skin is going to love this maracuja oil in the winter time! 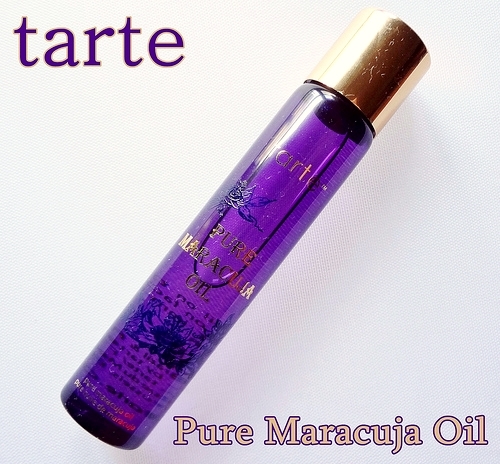 What do you all think of Tarte's Pure Maracuja Oil? Which facial oils do you love to use on your skin? What a great tip, Elizabeth! I must try this oil on my cuticles soon :) I am glad you are loving this maracuja oil, Hun! Can anyone tell me how long thier rollar ball lasted before it was empty? This roller design is great for a handbag.